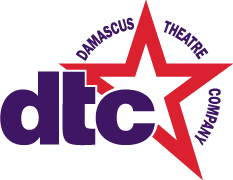 The Damascus Theatre Company announces its 21th Annual Theatre Award for the 2018/2019 academic school year. Awards totaling $500.00 will be awarded to up to two people in the spring of 2019. A check will be presented to the recipient(s) when proof of enrollment in a post-secondary academic institution is provided. Award money must be used for educational expenses. Be a 2019 graduating senior. Must have been involved in at least three (3) Damascus Theatre Company productions in some meaningful capacity (e.g., crew, actor, pit band, construction). Productions include the Spring and Fall shows as well as Breakfast With Santa and DTC Kids. Have a cumulative G.P.A. of 3.0 or better. The application consists of basic personal information, plus a 500-word essay on the importance of the arts or theater to the community. Please use the form provided on this page to apply. All applications must be received by April 15, 2019. The recipient(s) of this award will be notified by written letter by May 15, 2019.